A Powerful Marketing And Lead Management System For Your Easy1Up Business! What you get with your Vertex Lead System (VLS) is an online marketing platform that supports one of the most exciting opportunities to evolve in the marketplace over the past 11 years. 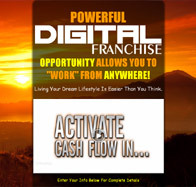 This business continues to grow extremely fast by providing great products, needed by every marketer, combined with an amazing compensation plan. 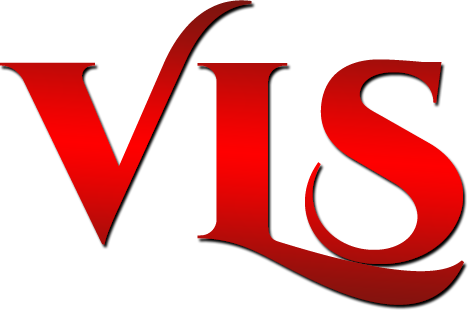 VLS has launched a comprehensive replicated marketing system, exclusively designed for Easy1Up members who want to take their business and their income to the next level. VLS is plug and play so anybody at any skill level can hit the ground running. 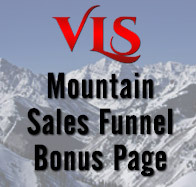 VLS members will enjoy multiple high converting lead capture pages, an extremely easy to use custom capture and landing page builder, a robust autoresponder system with full lead tracking, banners, tools and advertising resources plus a professional 24/7 online video business presentation that automates your VLS marketing efforts. All these tools combined offer the perfect sales system that can grow your Easy1Up business effortlessly, even while working, playing or sleeping. The VLS 24/7 video presentation is the center of this system, it does all the selling and explaining of the product package and opportunity for you. With minimal set-up, the system virtually automates the marketing side of your business. Brands you and your business with the Vertex Lead system and directly links to your main Easy1Up web site. 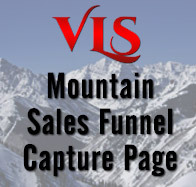 VLS custom page builder, allows you to create your own web pages, upload videos, pictures and personalize the content. Giving you one more advantage as you work to warm up cold leads and make new business connections. Detailed statistics about your page visitors, capture page conversion tracking and more are all available. You can even see what percentage of the video presentation your prospects watched and know exactly what web pages your prospects visit. View all your contacts and quickly identify those that could be business prospects. The system allows you to edit their details, leave notes, send them emails and more. Each contact has a score based on their activity so you can easily identify "HOT" prospects. We have made it easy for you to sort and sift through all your contacts, allowing you to spend time with only the prospects ready to join your team. We have a library of resources that will help you get started and turn you into a marketing pro. We provide you with all the information you need to be well on your way to promoting your business. 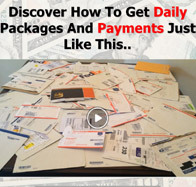 In addition to all the training, we also include a proven list of paid traffic and advertising services. Letting the pros work for you can often help you quickly launch your new business and start seeing immediate sales. We have everything ready-to-go so you can be up and running today with your own VLS website to promote your Easy1Up business. Multiple capture and landing page options are available immediately. The Autoresponder system is loaded with a professionally written follow-up message series. You also have the option to add a custom domain to your account, making it easier for your prospects to remember your website address. A custom domain helps you promote your brand in both online and offline advertising. VLS Members have access to a professionally recorded 24-7 Sizzle Call to use in all your marketing and advertising, both online and off-line. This recorded message is a great way to get your prospects excited about the business. It provides them with just enough information so they want to view the online video presentation. Using a sizzle call is just one of the many secret marketing weapons leaders use to identify "HOT" Prospects. Advanced marketers can easily connect the VLS capture pages to a third party Autoresponder service. This allows you to further customize your follow up and broadcast email messages and manage your list now and in the future. Advanced marketers also have the option to split-test and track conversion rates on multiple capture pages simultaneously. Click on the order button below to make your payment by credit/debit card. You will either make one $97 payment or if you are purchasing from an Authorized Reseller, you will make 2 payments (one for $47 and one for $50). Please note, your statement will show a charge from Exclusively Cards, Inc.